Plus, wetness can ruin your mattress! Even more alarming, they are weakly bound to the vinyl and leach or off-gas into the surrounding air, to be breathed in. What about “non-toxic” or “phthalate-free” vinyl? Due to the clear science that indicates phthalates are a health risk, several types of phthalates have been banned in the US. But manufacturers are always coming up with new variants, some only slightly different, that are legal and not tested for safety. Until all of these variants are tested (if that ever happens), it’s better to avoid “non-toxic” and “phthalate-free” vinyl or PVC. No one really knows what level and type of plasticizers or additives in vinyl is safe, especially for children. Polyethylene is a safe plastic. If you want to buy a MATTRESS that is already waterproof, then get a mattress that has a built-in covering made with polyethylene. Naturepedic makes a waterproof kids mattress and organic crib mattresses that are waterproofed with plant-based polyethylene made from non-GMO sugar cane. Unfortunately, polyethylene is not ideal for mattress pads that need to be washed frequently, since it does not hold up wash after wash. It’s rare to find a polyethylene waterproof mattress protector on the market and if you do, don’t expect it to last long. Some mattress pads are marketed as anti-microbial, antibacterial and/or anti-mildew. Usually this means the pad has an extra coating of something that’s potentially toxic. If you wash the pad when needed, coating is unnecessary. Better to avoid inviting other chemicals into your bed. Since wool is moisture-resistant and dries quickly, wool mattress or “puddle” pads are sometimes used with mattresses that are not waterproof. Many wool puddle or piddle pads actually have synthetics in them, such as polyester, so look for 100% certified organic wool from a company you can trust. You can’t count on wool alone to waterproof a mattress. If there is a lot of wetness from a baby or child, it can go through to damage the mattress and create mold and mildew problems. I recommend layering one or two organic wool mattress pads (specifically designed to block wetness) with an organic cotton mattress protector to serve as extra layers of protection. Cotton absorbs moisture and wool repels and wicks moisture away. When used in concert, the wool and cotton pads together can block the wetness. What do I recommend for a guaranteed non-toxic, 100% waterproof mattress protector? The Naturepedic Organic Cotton Waterproof Mattress Pad is completely waterproof, confirmed non-toxic, and hypo-allergenic. Made with an ultra-thin film of polyurethane plastic (2% of the product) completely surrounded by two layers of organic cotton, it can withstand even the worst nighttime accidents while still allowing the material to breathe. There’s no plastic chemical odor and the organic cotton provides a non-sweaty sleep surface. The Naturepedic waterproof protector pads are of the highest quality, and easy to machine wash and dry. The polyurethane plastic film that Naturepedic uses has no toxic chemical additives. 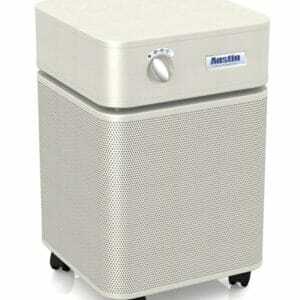 It does not leach chemicals or off-gas into your sleeping environment. This has been tested and confirmed through Greenguard SELECT certification – the most stringent Greenguard standards. At Healthy Child, we trust Naturepedic because we know they are committed to safe materials. As I searched everything out there on the market, I can definitely say you can’t find a safer waterproof mattress protector than this for your family’s sleep environment. I bought a latex mattress and I have been sick ever since and Please is there anything you have to cover a double latex mattress so the fumes will stop coming to me as i can’t afford a new mattress PLEASE HELP. Sorry to hear that, Melissa. Many latex mattresses that are sold are a blend of latex and chemicals. Did you try taking it back to the manufacturer? I bought a new mattress this week, just a sprung mattress than you turn regularly, I by a new cheap one every 2 yrs, because in the past I bought an expensive memory foam Matress & after a while it burnt my skin wherever I lay on it..with my new mattress I bought a mattress topper, I had it on for 2 nights, the second night in the middle of winter my skin where I laid on it burnt like hell, the whole room & me stunk of rubber. There’s polypropylene in the mattress topper, could this be causing the burning? Joan, I’m sorry to hear about your skin burning, that must be terrible. Polypropylene is one of the “better” plastics, so I don’t know if that’s the issue. It might be that your topper is coated with some sort of antimicrobial or other chemical. Difficult to know when ingredients are not specified. You may want to go with an organic wool, cotton or latex topper without any plastic or coatings. I too bought a tempurpedic memory foam mattress about 10 years ago. At first I could not be in the same space with it but I did not identify the mattress as the problem until some time later due to drift of the toxins to non-bedroom areas. These products are grossly unsafe. Initially, on coming into my home, my eyes and throat would become red and inflamed, then my breathing was affected. At night, after falling asleep, I would wake up exactly 30 minutes later with a racing heart and ‘anxiety’ type awakeness. 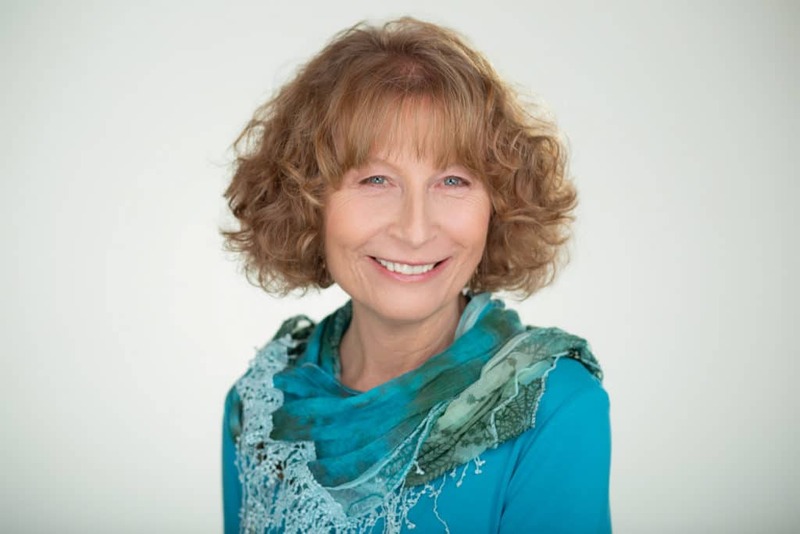 The odor eventually dissipated but now I am finding that the toxins have changed my life and health. I have odd auto-immune symptoms, have developed an autoimmune response to my own hair (head and eyebrows etc itch all the time) and I am allergic to many things. I cannot be in the aisle of low price shoe stores because the shoes are ALL made of polyurethane and the smell puts me away and triggers symptoms. I continued to have some episodes of heart arythmia. After a few years the foam, just when it seems to have stabilized, begins to break down. Then the whole nightmare starts over again. GET RID OF THE MATTRESS. Your long term health is at risk. Note that I bought my mattress at Relax the Back, a high end store in Washington state that purports to give you a better sleeping experience. Ha! It has ruined my life and there is no real treatment because environmental toxins are not yet a full area of medical research. DO NOT PUT YOUR KIDS ON THESE MATTRESSES and I recommend you get polyurethane out of your lives. Better to live with less furniture than to die slowly. In the last 3 years i have been diagnosed with what appears to be a slow growing lymphoma and autoimmune issues are constant. So sorry to hear about your experience. Unfortunately it’s quite common with memory foam mattresses. They have ruined the health of many people. I would recommend finding a functional medicine doctor who can help with autoimmune issues and perhaps also the lymphoma. Typical medical doctors don’t have answers but there are some doctors who can truly help. It will take a lot of detoxing to get your health back, but I believe you can get it back! As for the polyurethane, it’s the foam, not necessarily the plastic, they are 2 completely different chemical compositions. But I totally agree that you need to stay away from the plastic as well, since now you are ultra sensitive. So sorry, I really feel compassion for you and what you are going through. This article is confusing. In one paragraph you mention that polyurethane is safe but “unsuitable for mattress pads” due to the fact that they quickly degrade after washing. 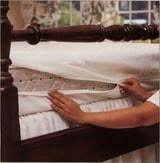 Then you recommend the Naturepedic Organic Cotton Waterproof Mattress Pad which uses polyurethane. I really am looking for the best product for my family and this is not helpful. Any chance you could clarify why you reccommend the Naturepedic? 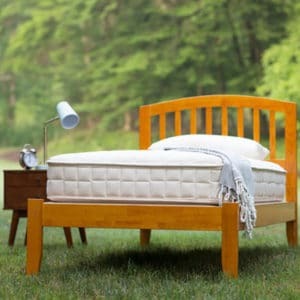 If you want to be sure that you are buying a safe, non-toxic waterproof mattress, polyethylene is the way to go. Unfortunately, it’s not ideal for mattress pads that need to be washed frequently. Precisely because it is a benign plastic, it does not hold up wash after wash. It’s rare to find a polyethylene waterproof mattress protector on the market and if you do, don’t expect it to last long. The polyurethane plastic used in the Naturepedic mattress pads are confirmed safe. So what is safer? Polythylene or polyurethane? I think I see where the confusion is, and I apologize that paragraph is not clear. I will change that paragraph to give it more clarity. What I am saying is that if you want a MATTRESS that is already waterproof, then get a mattress that has a covering made with polyethylene. Naturepedic makes waterproof kids MATTRESSES that are waterproofed with polyethylene. You just wipe the mattress off, you don’t put it in the wash so polyethylene works for that. Polyethylene is the safest plastic and generally safer than polyurethane. But since PADS and COVERS need to be washed frequently and polyethylene does not hold up well in the wash with hot water, mattress pads are made with polyurethane plastic and not polyethylene. And the safety of polyurethane depends on the formulation. Naturepedic makes a safe polyurethane mattress pad – tested and confirmed. Can I use a heated mattress pad over or under a vinyl mattress protector? I don’t recommend vinyl mattress protectors due to toxicity of vinyl. They are not safe, especially with a heated pad. is there a safe wool crib pad you can recommend? many that I’ve come across are treated with the chemical “ultra-fresh” , which I would like to avoic. Healthy Child had safe untreated wool mattress pads, but the manufacturer discontinued them recently. We do have these washable wool mattress pads for a crib, but these are not the type that are specifically designed to block wetness (puddle pads). I continue to look for untreated, safe wood puddle pads and will post here when I find them. What would you say about organic eucalyptus fabric, TPU waterproofing & polyester mesh for a safe waterproof mattress pad? I’m looking for my daughters bed. Also, do u know of any zip up safe mattress covers? I’ve got an old mattress & can’t afford a new one do would like to cover the safest way possible. Thanks. It would really depend upon how the eucalyptus fabric was manufactured. I don’t know enough about it to say for sure since I haven’t checked into it. Same with TPU, it depends on how it’s manufactured. The only mattress cover that I know of that might block chemical off-gassing on an adult mattress is the No-Chem mattress wraps. These wraps are noisy and you will feel that you are sleeping on plastic. But this type of plastic is the only way to block the off-gassing. Would you say this is a good choice? I am asking as I am unsure about it’s composition and unable to find it anywhere, and I am also not sure about the silver finish? I’ve never heard of a silver finish on a mattress cover. I suggest asking the manufacturer specifically for more information, if you can possibly get that. Something needs to make it waterproof and I don’t know how silver can do that so it’s likely there’s some sort of plastic in there. Have you done any research on the Newton breathable and washable mattress? I know it’s not organic, but I’m looking more for safety from off-gassing and such. I’d be curious to hear your thoughts. I don’t recommend “breathable” crib mattresses since they are not waterproof and the baby breathes through the surface and into the interior of the mattress. What else is going through the non-waterproof surface and into the interior? Urine, diarrhea, spit-up, vomit, milk. I would not want my baby breathing into that contaminated space. Also for babies we only recommend GOTS certified organic crib mattresses because of their stringent standards. May I ask your thoughts on this baby mattress? It says it has “organic cotton layers” which seems great, but also says it has a “verti-fiber layer” (whatever that is), but it does say “no VOC’s and off-gassing”, so I’m assuming it’s safe. I would then find a mattress protector, perhaps just a 100% cotton one with no waterproofing (bub doesn’t have spills often and if so they would be caught by a cotton protector I believe). 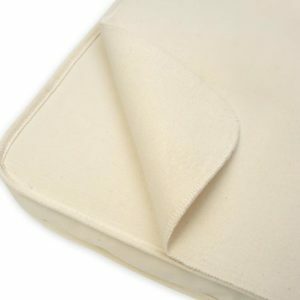 Have any health concerns been identified with Bamboo Mattress covers? We purchased them along with 2 new mattresses, and have found black spots on our skin after using these, and I have had other more concerning health issues as well. Any information on this topic would be helpful.